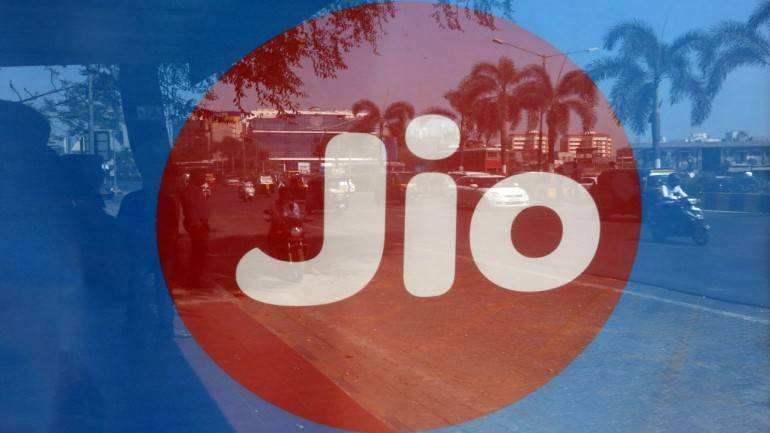 Reliance Jio has maintained its lead in the 4G download speed chart published by Telecom Regulatory Authority of India (TRAI) despite suffering a drop in the average speed. TRAI reported an average download speed of 20.3Mbps for Jio, down from October’s high of 22.3Mbps. The telecom operator has had a mixed year so far with 4G download speeds dropping and rising pretty much every alternate month and it is yet to get back to the highs of 25.6Mbps a year ago. Ranked second in November, Airtel’s average 4G download speed showed a marginal improvement to 9.7Mbps from 9.5Mbps last month. Airtel’s 4G download speeds have been almost stagnant around 9-10Mbps mark for the entire year with marginal deviation on a monthly basis. Even though Vodafone and Idea Cellular have merged to form a single-entity, TRAI continues to share separate speed results for both operators. Vodafone landed on the third-spot with its average download speed of 6.8Mbps, which is slightly better than last month’s 6.6Mbps, whereas Idea Cellular dipped to 6.2Mbps from 6.4Mbps to grab the fourth position. The story is slightly different for the 4G uploads speeds, where Idea continues its reign, followed by Vodafone, Jio and Airtel. According to the TRAI data, Idea had an average upload speed of 5.6Mbps in November, followed by Vodafone with 4.9Mbps, Jio with 4.5Mbps and Airtel with 4Mbps. 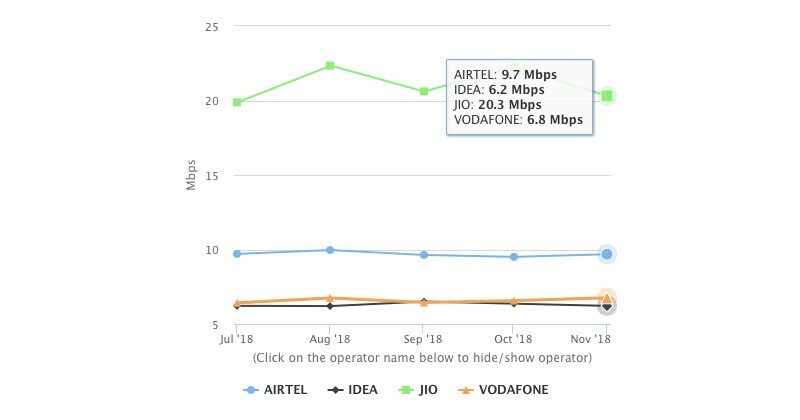 Vodafone and Airtel recorded improvements in average uploads speeds while Idea and Jio speeds declined. To remind you, TRAI uses the data collected through its MySpeed application to report these rankings. In related news, the November SpeedTest Index from Ookla ranked India at 111th position in the mobile data speed chart worldwide with just an average of just 9.93Mbps download speed. The average fixed broadband speed, however, fared much better with the 65th ranking. In fact, India showed the biggest jump in fixed broadband speeds among the largest countries on the planet.